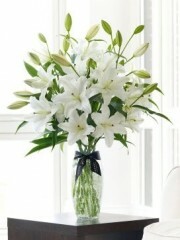 We at Edinburgh florists have a wide selection of luxury flowers, all of which are available for delivery. Florists Edinburgh know that our customers have a wide range to needs when it comes to delivery, which is why we have various delivery options for you to choose from - all in the aim of meeting your delivery requirements. There is same day delivery, which is our most popular choice, as it means that no matter what happens, whether you forget about an anniversary or if a special occasion just seems to pop up out of nowhere. As long as you place your order before 3pm, you can rest assured that your beautiful luxury flowers will arrive the exact same day. 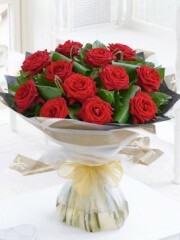 Edinburgh flowers also offers next day delivery, which you could consider to be the standard option. You have the choice to specify whether you would prefer morning or afternoon delivery (before or after 1pm). Both same and next day delivery are carried by our experienced delivery drivers, who are dedicated to arriving in excellent time with your elegant luxury flowers in perfect condition. We at florists Edinburgh also allow you the option of placing your order in advance, so you can reduce stress and responsibilities closer to the delivery date. 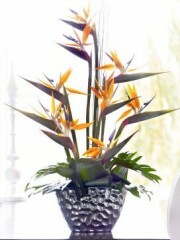 This option is ideal for ordering vibrant luxury flowers for weddings and parties. 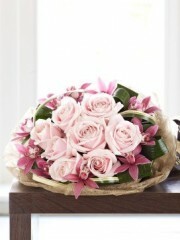 The other delivery option that Edinburgh florists offer is international delivery. As well as our skilled drivers delivering your amazing luxury flowers to anywhere in the UK, you can also send them to over 140 countries all around the world. This is made possible through our extensive network of Interflora florists, who are spread over - this trustworthy web will make sure that no matter where in the world you or your loved one finds themselves, you are always within range of a wonderful delivery of Edinburgh flowers. 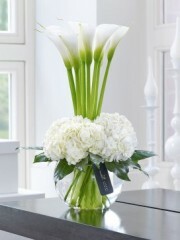 Florist Edinburgh have a massive range of luxury flowers designs available for you to browse through on our website. These all vary in size, colour and type, yet you can be sure that they are all of the very highest quality. To ensure this, we deliberately have our luxury flowers supplied straight for their source in Holland, and we have fresh deliveries to our shop up to 3 times a week. Due to the careful tending of the Dutch horticulturists, we truly feel that these are the freshest, and will therefore last the longest. All of this is to ensure the very best customer satisfaction. As well as the preset designs we have on our website, we at Edinburgh florists have a bespoke service which you can take advantage of. You have the choice to customise or even completely create your own design. It is a great option for those of us who need to be aware of possible dislikes, or even allergies to things such as lilies, etc. 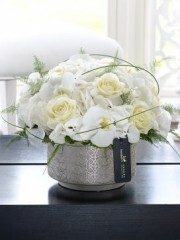 To be sold along with all of these designs of fabulous luxury flowers, there are a small range of gifts. These are things such as soft teddies/teddy bears, bottles of fine wines/champagne, boxes of decadent chocolates and even balloons with different messages. Each of these are great for different occasions, such as romantic gestures or birthdays. Edinburgh flowers cater to any occasion - some of these are weddings, funerals, engagements, birthdays, retirements, parties, anniversaries, new home, new baby, christening, new job, promotion, romantic gestures are many more. Edinburgh florist's top priority is ensuring that our customers are highly satisfied with their beautiful luxury flowers, therefore we combine over 40 years of experience with the skills of our trained florists to bring to you the very best. If you have any questions or queries, please do not hesitate to contact us.